Are your salespeople lowering prices and struggling to create successful engagement with buyers? This is a common problem right now – industry research indicates more than 70% of sales teams have failed to adapt successfully to the way B2B buyers now make their purchase decisions. 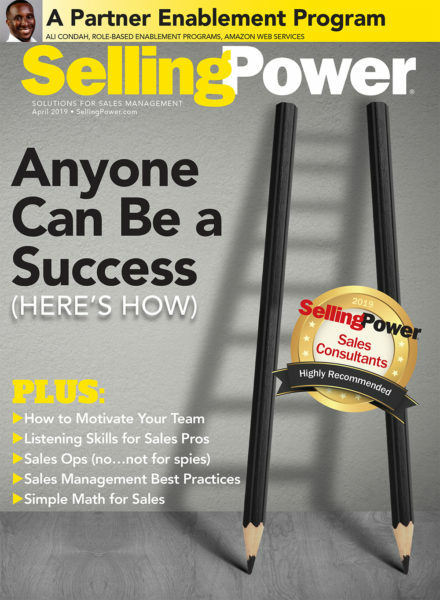 And, according to the CSO World-Class Sales Practices Study (2018), quotas are rising– despite the fact that most salespeople (over 50%) failed to meet their quotas in 2018. Clearly, more sales leaders need to change course. They need a plan of action. Register for the webinar below, so you can learn strategies to help your team succeed in more selling situations. Yes, I would like to receive similar sales-management content and insight from SPA. This free webinar is provided by Selling Power and SPA. By submitting this form you agree to receive emails about this webinar from Selling Power and that your registration information will be shared with SPA. Any emails from SPA will have an option to opt-out.